Amble is the top Coastal Community town in Great Britain, according to a national competition. The Friendliest Port beat its two rivals in the Great British High Street of the Year awards, to scoop the top slot in the Coastal Community category. The Great British High Street of the Year awards singled out Amble as one of the three finalists in the Coastal Community category. Prestatyn in Wales and Bognor Regis in Sussex were also shortlisted, and residents were able to vote via email every day over the four week competition. Amble took the lead after week two, but were overtaken again towards the end. It was a nailbiting wait to find out who had actually scooped top of their category, and who was the overall winner. Julia Aston, director of Amble Development Trust, and Ann Burke, chair of Amble Business Club travelled to London to hear the announcement. 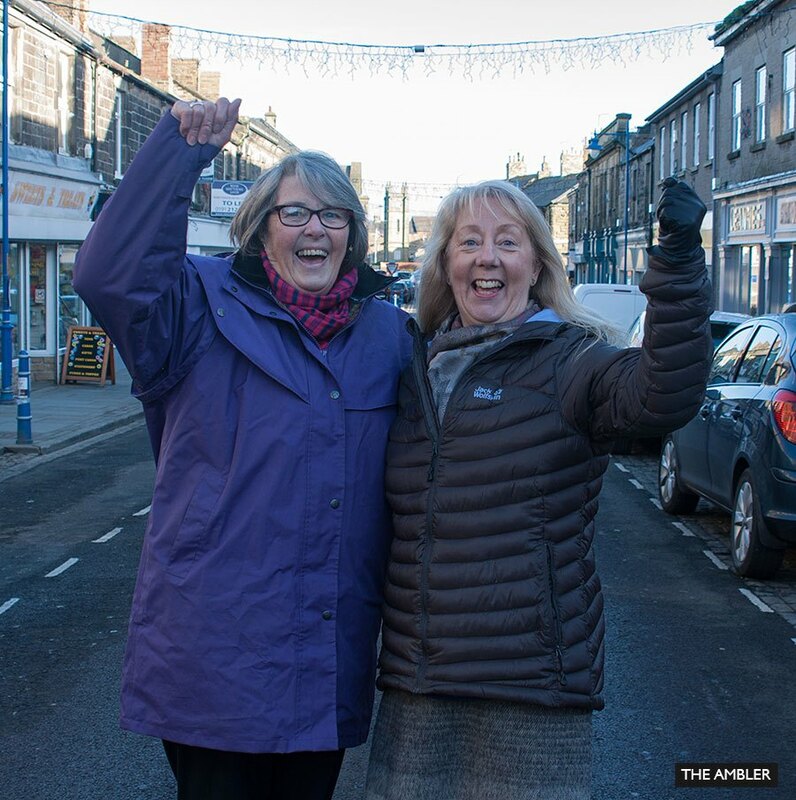 “I am so happy for Amble; for such a small town to be up against larger competitors. This achievement is wonderful,” said Julia, who originally put Amble’s name forward for the competition. The Great British High Street award is run by the Department for Communities and Local Government. The winners of the categories then go on to compete for the top prize of Great British High Street of the Year; sadly judges declined to choose Amble for the overall prize, which went to Bishy Road in York. 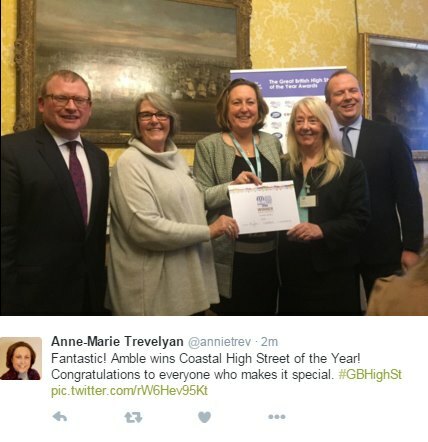 Berwick MP Anne-Marie Trevelyan who was also at the awards, was delighted for Amble’s top coastal high street accolade. “I am so thrilled and proud of Amble and its amazing businesses, shopkeepers and the community who voted for our wonderful friendliest port. Congratulations,” she told The Ambler. Winners of each category get a share of a pot prize worth £80K, which includes expert training and tailor-made tips from Google for 100 of their shops, bars and restaurants. 3 thoughts on "Amble wins top coastal town accolade"
Congratulations to everyone for making Amle the success it is. The highlight to a marvellous 2015. Can’t wait to be home and join in the celebrations with you all. Now the whole world is going to hear about us. What wonderful news! Always knew we were the best, better than all the rest!! Proud to live here.